Protected: Re-post Thinking about Fukushima today – Thoughts about energy – a CricketDiane Brain Zap – Just Thinking . . . Meanwhile, three atmospheric tests in 1960 had signalled France’s entry into the nuclear club. In an increasingly toxic atmosphere of distrust and recrimination, the Ten-Nation Disarmament Committee convened in Geneva.25 It considered a joint US–Soviet initiative that set general and complete disarmament as an ultimate goal, but did not get far.26 In August 1961, the Berlin Wall went up. moratoria and resumed testing, both with greatly accelerated programmes. The global alarm system supporting the Treaty—the verification regime being built around the world to ensure compliance with the ban—moves toward completion. It has already proven itself admirably. In 2006, with only 60% of the system complete, a low-yield nuclear test conducted by North Korea was detected by 20 stations (both seismic and radionuclide) around the globe. Since then more than 60 monitoring stations have been added to the system, and the capacity to detect noble gases—the smoking gun of a nuclear explosion—has been doubled from 10 systems to 20. United States signed first, using John F. Kennedy’s pen. The foreign ministers from China, France, Russia and the United Kingdom followed, as others queued up. By 7 March 1997, when the treaty was handed over to Vienna, the host city for the Comprehensive Nuclear-Test-Ban Treaty Organization (CTBTO), 142 states, including Iran and Israel, had signed. information into the International Data Centre in Vienna. The publication of this book is indeed very timely. system that supports it, to enter into force. testing waits to be inscribed in the international rule book proper. added to the system, and the capacity to detect noble gases—the smoking gun of a nuclear explosion—has been doubled from 10 systems to 20. In short, the Treaty is standing at the door, waiting to enter. This opportunity is knocking and we must answer. It is a call for determined leadership, a call to action. The time of the Comprehensive Nuclear-Test-Ban Treaty is now. what was wrong with them. Their hair was falling out, fi nger nails were falling off—but they were never told why. nuclear testing has defi ned the nuclear age. to the ground in what onlookers likened to huge suppurating mushrooms. weapons were made, deployed and nearly unleashed. make nuclear weapons. When even more powerful thermonuclear bombs were developed in the 1950s, some explosions yielded a force equivalent to several millions of tons of TNT. The radioactive mushroom clouds rising high above the Pacific, the United States, Kazakhstan and Siberia prompted calls for a Comprehensive Nuclear-Test-Ban Treaty (CTBT). Launched in the mid-1950s, as fallout from nuclear explosions spread around the world, the campaigns to end nuclear testing engaged nuclear and non nuclear governments and a wide cross-section of civil society, starting with doctors and scientists, women’s groups and grassroots activists. When dentists found radioactive strontium from these tests in children’s teeth and doctors and scientists raised concerns about long-lasting damage to human health and the Earth’s environment, public opposition to nuclear weapons accelerated. In 1954, India and Japan separately called for a total ban on nuclear testing, a demand taken up by civil society as a first step toward nuclear disarmament. [But, in the 1963 timeline listed on my blog post immediately prior to this one – India is listed as actively testing nuclear weapons – in 1963 – why does that not appear in this document? – my note]. majority of members of the United Nations. But nuclear testing by the five nuclear-weapon states defined in the NPT (China, France, Russia, the United Kingdom and the United States, which are also the P-5 permanent members of the UN Security Council) continued, mostly underground. China and France, which were further behind in their nuclear weapon programmes, refused to join the PTBT and continued testing in the atmosphere over the next decade. given to holding plurilateral negotiations solely among the P-5 and D-3. because of the higher normative value and collective “ownership” associated with multilateral regimes. 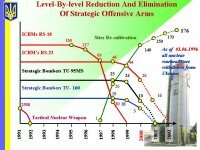 Disarmament (CD) on 25 January 1994, the dynamics among the key negotiating states illustrated not only different views on the value of a test ban, but competing motivations for and against nuclear disarmament. and contribute to the process of disarmament. Those that sought to prevent a test ban, by contrast, regarded nuclear weapons as conferring deterrence or stability and opposed a CTBT on grounds that it would close off options to develop or modernize nuclear arsenals and might impair the ability of the laboratories to maintain the safety and reliability of existing weapons. Scientists and technicians from many of the signatory states have been trained to work with these technologies, while diplomats and experts have negotiated sensitive issues such as what procedures, rights and responsibilities should go into the operations manual for the conduct of on-site inspections. treaties in history, nine of the necessary 44 have not ratified, so the treaty is prevented from entering into force. went wrong. The negotiations simultaneously reflected Cold War attitudes and the transition to a “new world order”, though not, perhaps, what President George H.W. Bush had envisaged in 1991.8 As attitudes toward nuclear weapons began to change with the end of the Cold War, the test ban negotiations posed new or different challenges for the P-5, the D-3 and the international community as the restraints and expectations of Cold War relations were transformed. a process of conflict resolution between the objectives, postures and politics of fewer than 25 of the negotiating parties, informed and infl uenced by a number of civil society actors in a range of expert and advocacy capacities. contested and determined not only by government representatives, but also among national and transnational civil society actors, between government and non-governmental actors within a particular state, and also across these levels, with information exchange and links occurring between governments and domestic actors on different sides. 1949. The nuclear arms race was launched. The United States accelerated its programme with one underground test in 1950 and 15 above-ground explosions in 1951. In 1952, when the United States carried out 10 nuclear tests, the United Kingdom joined the club with an atmospheric explosion on the Australian island of Monte Bello on 3 October. In 1953, in the midst of the Korean War, US planners were shocked when the Soviet Union demonstrated its mastery of nuclear weapon technology by detonating a thermonuclear device just one year later than the United States had managed. The huge blast vaporized part of the Bikini Atoll and contaminated nearby islanders. It also caused severe radiation sickness and at least one death among Japanese fishermen on a nearby trawler, the misnamed Lucky Dragon, provoking protests in the Japanese parliament, which demanded a suspension of nuclear testing. Meanwhile, the Cold War rivals carried out more nuclear tests—by 1958, the United States had conducted 197, the Soviet Union 103 and the United Kingdom 21.
the dangers of radioactive fallout. International League for Peace and Freedom, the Fellowship of Reconciliation, and the Religious Society of Friends (the Quakers), had begun protesting against nuclear weapons soon after the fi rst bombs were detonated, but they received little attention initially. Scientists involved in the Manhattan Project raised ethical, political and technical questions about controlling and using nuclear weapons and materials, and in 1945 some of them founded The Bulletin of the Atomic Scientists.9 These scientists were among the earliest non-governmental actors to integrate and publish information . 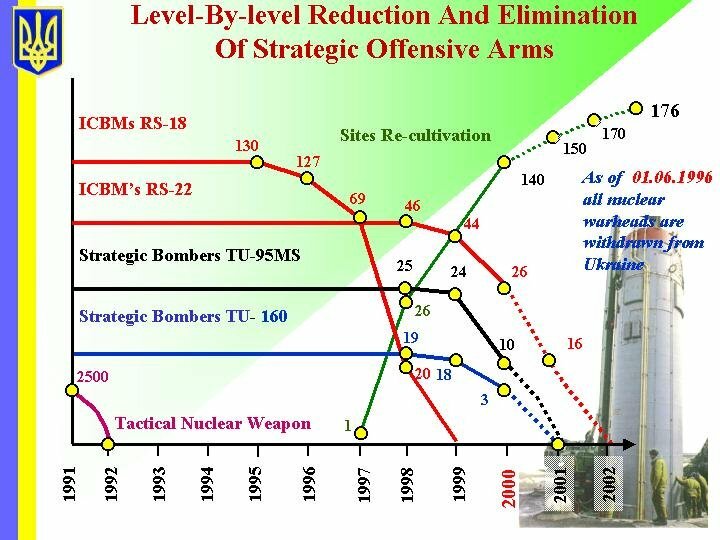 . .
With the right to nuclear energy emphasized as the primary incentive for non-nuclear weapon states, the NPT’s reflection of a prevalent belief that this technology could provide cheap, safe and clean energy for all has become increasingly problematic in the twenty-first century security environment. The NPT’s recognition of the status quo with regard to the five defined nuclear powers led to more stringent and heavily policed obligations being imposed on the rest, whose only option in joining the NPT would be as non-nuclear weapon states. Although the ENDC played a signifi cant role in ensuring that the NPT would link disarmament with non-proliferation, the Cold War powers maintained overall control by tabling identical treaty drafts and, finally, their joint draft treaty. Nuclear Energy – Atomic Energy – Information Portals – real numbers from worldwide energy production through atomic / nuclear energy reactors – etc. The objective of the DPR is to present a general overview of international, English-language, media coverage of the IAEA and nuclear issues, that does not purport to be exhaustive. The following articles are obtained from external news sources for whose content the IAEA takes no responsibility. NUCLEUS is the common access point to the IAEA’s scientific, technical and regulatory information resources. It incorporates, and facilitates access to about 100 IAEA databases, scientific and technical publications as well as safety standards. Click on the name of a reactor to view its full details. My Note – Do you know how big Japan is? There are 53 operational nuclear reactors in a country that is about the size of Delaware. But, I’ll check – maybe its bigger than that . . . This section provides some of the tables and charts which are produced using PRIS data. All data are based on information provided by IAEA Member States through designated national correspondents or governmental organizations. This is the answer to the question – “how did I know that?” – I already knew where to look . . .